Places4Students.com is the proven Off-Campus Housing Listings Resource for over 160 college and university campuses throughout North America. This established listing service has been operational since 2003. Within 15 years of operation, we have helped over 100,000 landlords and property management companies advertise their housing vacancies to students effectively. How do I get my rental property on Places4Students.com? Posting a rental property on Places4Students.com is quick, simple and convenient. Refer to the link 'Creating a Rental Listing' for a step-by-step guide. What if my property is rented and my listing is still online? 'Login' to your Landlord/Advertiser Account. Select 'My Listings' and click 'Rented' under the listing. I have submitted my rental property listing and it's not online. Why? After you submit your rental listing for processing, it must be reviewed by a Places4Students staff member before being posted online. Listings are posted hourly during our business hours, and once daily during weekends and holidays. All edits to online listings are processed during these hours as well. My credit card information has changed. 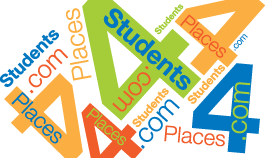 Do I need to update my account with Places4Students.com? Places4Students.com does not retain any credit card information within its database or records. Customers are required to input credit card intormation with each individual transaction. My rental property has amenities included which are not listed. What should I do? Any additional information, amenities or features of a property can be included in the 'Description' of a listing. Refer to the link 'Tips for Your Rental Listing' for further ideas. How do I upload digital photos to my rental property listing? Click 'Choose File' or 'Browse'. A file selection window will pop up. Choose the image file to upload and click 'Open'. Standard sized, .JPEG or .GIF format, are most compatible with this system. After uploading your image(s), please click 'Save' at the bottom of the page. All digital photos that are uploaded will be automatically scaled to 800x800 pixel size. On occasion, some landlords misunderstand the terminology, sections and categories used within listings on Places4Students.com. This guide serves to clarify some of these areas. If your property is a single dwelling with one or more bedrooms, or the entire dwelling for rent. (For example, a house, bedroom(s) in a house, an individual apartment, a condo, half of a duplex, a cottage, etc.). A single-unit property will have one address only. This property can be landlord/owner occupied (unless the entire dwelling is for rent). If your property is a building with two or more units for rent, where each unit is separate. (For example, an apartment building, a condo complex, a lodging house, a duplex, etc.). A multiple-unit property will have apartment #s or unit #s.
This property will rarely be landlord/owner occupied (unless the landlord lives in a separate unit). It is important to advertise what is available for rent, rather than describe the entire single-unit dwelling itself. A landlord has a 3 bedroom house, but only 1 bedroom is available for rent – select the ‘1 Bedroom in a House’ category. A landlord has a 3 bedroom house and only 2 bedrooms are available for rent, but the landlord will accept individual student tenants – select the ‘1 Bedroom in a House’ category. A landlord has a 3 bedroom house and all 3 bedrooms are available for rent, but the landlord prefers to rent to a group of 3 student tenants together – select the ‘3 Bedroom House’ category. A landlord has a 3 bedroom house and all 3 bedrooms are available for rent, but the landlord will rent to either a group of 3 together OR 3 individuals (whichever occurs first) – select the preferred option’s category, then put details about both options in the ‘Title’ and ‘Property Description’ fields. The proper categorization for ‘Type of Unit’ is very important for landlords because students typically use the ‘Smart Search’ or ‘Quick Search’ features to narrow down their criteria, when searching for an accommodation. Landlords should strive to be in the category which produces the most leads of tenants. For example, a student who is searching for a place individually will probably NOT look in the ‘2 Bedrooms in a House’ category. Listings are split into two different sections, general or featured. Static positioning is available within both sections. This is the base offering and the listings are stored chronologically. This is the upgraded option which offers the most exposure to students. Featured listings appear before the general listings and are randomly sorted with each student visit. Listings are sorted into categories in order to streamline the search process for students. This is the main category where standard rental accommodations will be listed. This is for accommodations with very short rental durations, such as a few weeks or months. It is not intended for rentals requiring longer leases. This is for accommodations that are more suitable for a faculty or staff member, as opposed to a student. How can I get help to post a listing or answers to more questions? Contact our Customer Support Team at 1-866-766-0767 (toll-free) or admin@p4s.com.